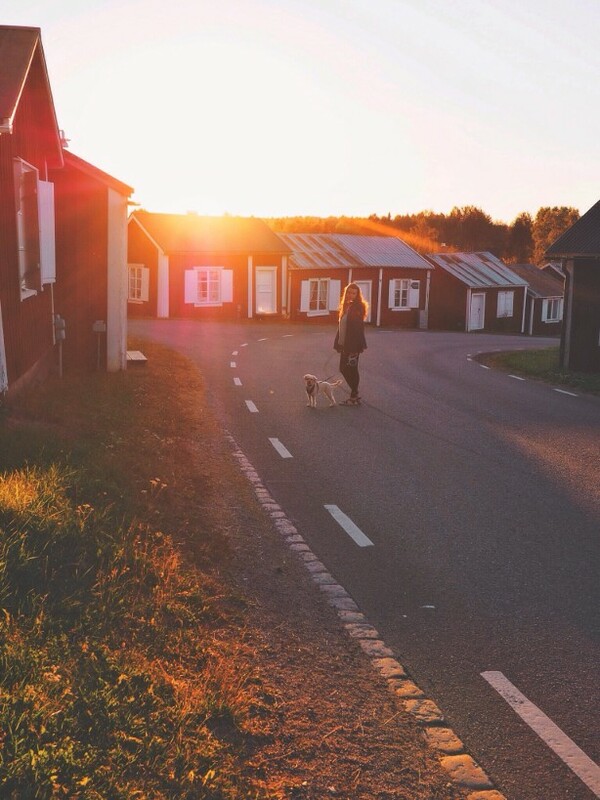 When we first got our camper van and started to plan our travels, Sweden was honestly not on our list. We felt like Scandinavia was a long way to drive and we didn’t know much about what this part of Europe could offer. However, as the late spring days became increasingly hot and the high pollen had us sneezing and wheezing all day, we decided to blindly head North to Sweden in search of a cooler, low pollen climate. What we found when we arrived was a vast and beautiful country that feels much like an unspoiled paradise. When we first decided to explore Sweden, we were concerned about the price of living here. 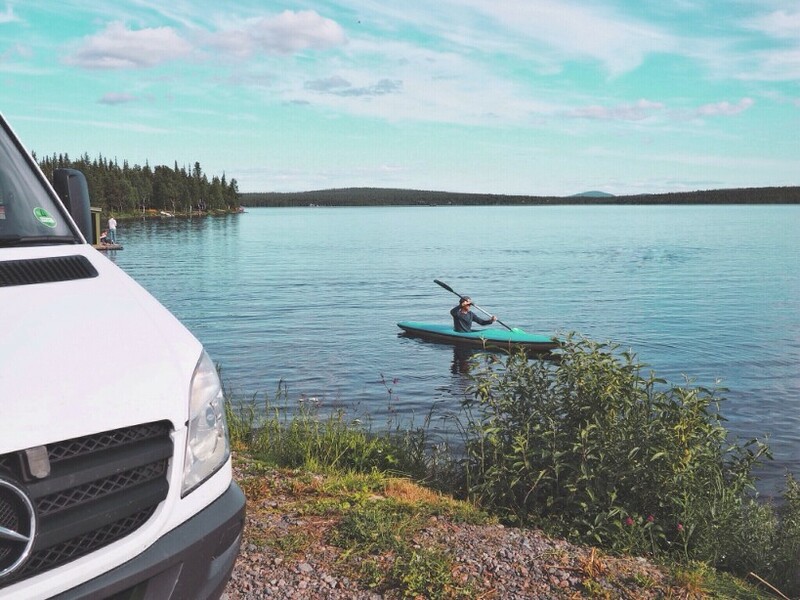 We had seen a lot of blog posts and Instagram captions from people traveling around neighbouring Norway in their vans who complained about the extremely high cost of food and fuel. Luckily, in the large towns and cities in Sweden, we have not found this to be the case. Sweden has a number of discount supermarkets including Lidl where you can get groceries at a reasonable price, as well as bigger supermarkets such as Coop and ICA which stock a wide variety of food, where the prices are only slightly more than we are used at home in England. We have also found diesel to be a similar price to the U.K., whilst petrol costs quite a bit more. The exception we have found to this is that small supermarkets in rural villages charge a lot more, as do rural fuel stations. Because of this we always top up at towns we pass, even if we think we could last a little longer without. The biggest expense in Sweden is eating out and drinking which can set you back a lot of Swedish Krona. We have chosen to stick to buying our food at supermarkets and cooking for ourselves to keep clear of this cost. Alcohol is expensive and you won’t find anything above 3.5% at the supermarket. If you want any strong beer, or any wine or spirits you must search out a Systembolaget which is a government run chain and the only place other than a bar or restaurant licensed to sell you any strong alcohol. Sweden has been a perfect van life destination for us as wild camping is completely legal thanks to the Swedish law of Allmansrätten, or “Everyone’s Right” which allows you the freedom and right to roam, so long as you do not disturb and do not destroy. We have found the Swedish locals to make the most of this law, with motorhomes, campervans and campers in tents roaming all across the country. The attitude to camping is very relaxed, with people casually setting up their camping chairs, barbecues and fire pits at both rural and urban camping areas. The ease to explore is also helped by the quiet and high quality toll free roads. The only toll roads you need to worry about are the ones to enter via Denmark which was actually one of our biggest costs on our road trip so far. If you want to go off grid, however, you should expect some gravel roads, so be sure to secure your cupboards and drawers before heading down these roads. Drinking water has been relatively easy to find, and as a back up, most flowing lakes here are safe to drink from. We have also found many rest stops on the main roads have grey water and black water emptying stations for free, and if you keep an eye out there are the occasional free showers to be found. Between mid-June and mid-July, the sun does not set in the Arctic Circle, meaning that you witness a full 24 hours a day of sunlight. The endless days mean you can explore at any hour of the day or night with the sun shining down on you as if it were the middle of the day. We have found this a lot of fun, but it definitely affects our sleep. 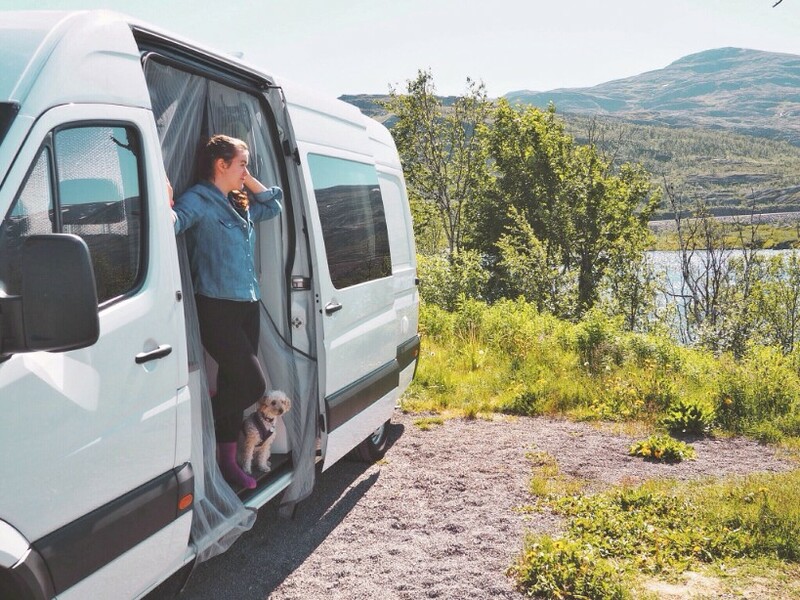 If you are planning on traveling here during the season of the midnight sun, I would highly recommend fitting black out blinds or curtains in your van and bringing an eye mask to help you sleep. After a few weeks of being in this part of Sweden and many nights spent awake until the early hours, we have learnt to start putting up our black out blinds a couple of hours before we plan to go to sleep in order to help our bodies believe that it is finally night time. Since arriving in Sweden, we have traveled thousands of kilometres, spending the majority of our time here in the Northern area of Swedish Lapland. When we arrived in the North of Sweden, we stopped for a few days in the beautiful coastal city of Luleå. Here, you can visit the amazing ancient church town of Gammelstad, enjoy hiking at the off season ski resorts and take boat trips around the Luleå archipelago. This is also a great place to stock up on food and fuel before heading out into the true wilderness of Swedish Lapland. As we left Luleå, we headed inland and further North. We experienced wilderness like we’ve never seen before, where you can drive 100 kilometres from one town to another with nothing but trees and lakes in between. Mostly we stayed in forests at the side of one of Sweden’s many beautiful lakes, of which there are over 100,000 dotted around the country. And, after a few too many unnerving rustles of the trees, I found myself googling wild animals, fearing bears were going to come and jump on me as I sipped my morning coffee. 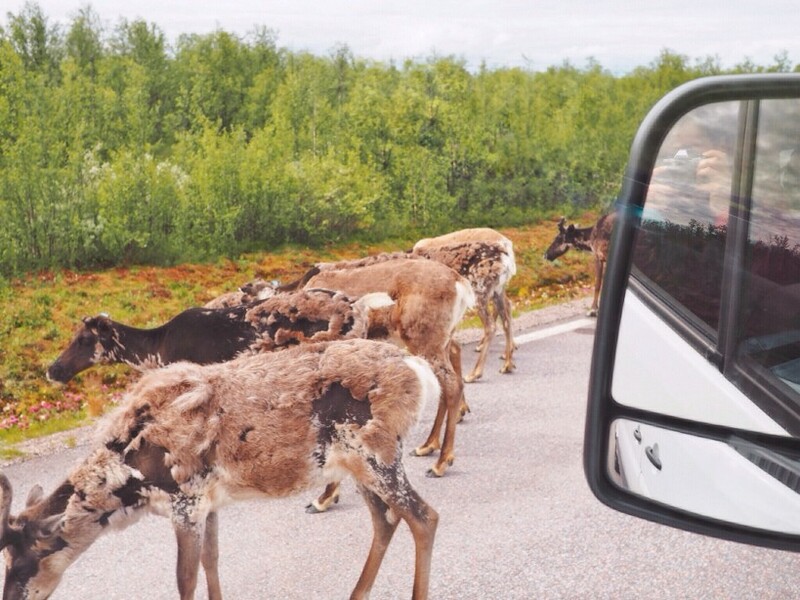 However, we are apparently very unlikely to come across any bears, but we have come across reindeer wondering on the roads, and visiting us at quiet camping spots, which is a common site in Swedish Lapland. As the roads are very quiet, if traffic comes to a standstill you can guess it’ll be a heard of reindeer oblivious to the goings on in the world around them. After a few days of road tripping further North we arrived in the Arctic Circle in an area called Abisko where we have spent many days hiking and exploring the Abisko National Park. Hiking here is a breeze, with many well marked routes and very few people, even in summer. Dogs are allowed as long as they stay on their lead and on marked routes, and our dog has loved it here with so much to explore. 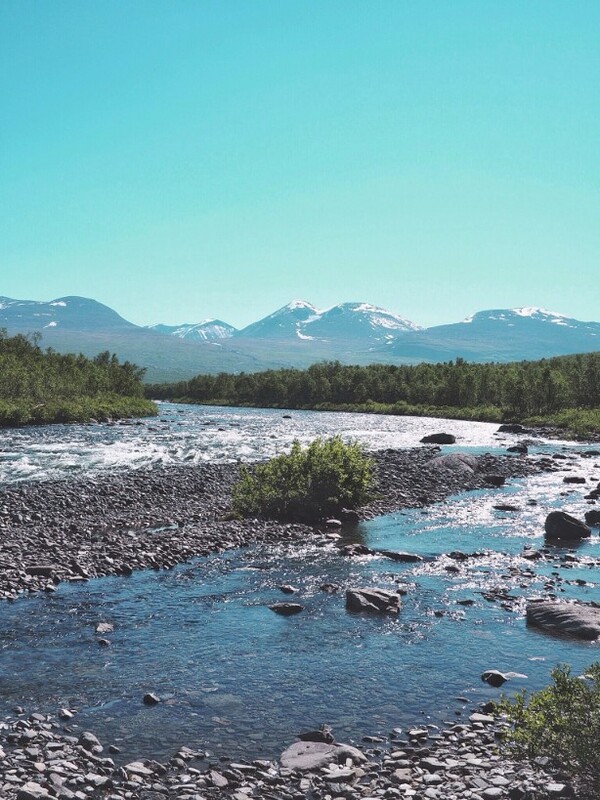 If you’re up for it you can even start the Kings Trail in Abisko and hike all or part of it’s 450 kilometre expedition. Not only is Abisko one of the most stunningly beautiful and dramatic places I’ve ever been to, but if you visit in winter, it is here where you are most likely to see the Northern Lights. However, arriving here in early July we were instead treated to the spectacular midnight sun. Next on the itinerary for us is to slowly head down to the South of Sweden, to visit some more national parks, as well as Stockholm and the beautiful beaches of the east coast which we glimpsed on our way North. We have very much fallen in love with this amazing country and would recommend it to anyone looking to get away from it all and soak up the wilderness and solitude to be found here in Sweden. This article was written by Ellie from @vantoanywhere. Check out her European adventures on Instagram!